What if we were to discover that a different type of human being is living among us? And what if we found out that this type of person is responsible for most of the violence and greed in our world? Amazing as it may seem, that is exactly what modern psychology is telling us. A small proportion of people who suffer from psychologically abnormal personalities have, throughout history, had an immeasurable detrimental impact on our societies, our politics and our world. Enabled by their ruthlessness to readily acquire positions of power, they have long dominated the psychologically normal majority of the world’s population. However a historical change of fundamental importance for the future of the human race is underway, in which the psychologically normal majority have begun to overcome the tyranny of this pathological minority. This change has gathered pace over the last three centuries as the majority have devised various means to protect themselves, namely democracy, the rule of law, and protection for individual human rights. Today, at the beginning of the twenty-first century, the struggle for the emancipation of humanity continues as people with dangerous personality disorders still remain in positions of power around the world – in governments, corporations, religious organisations and local communities. This blog explores what we know about the dangerous personality disorders that cause so much of the world’s suffering, and the ongoing struggle to wrestle power from those with these disorders in order to create a more humane world. 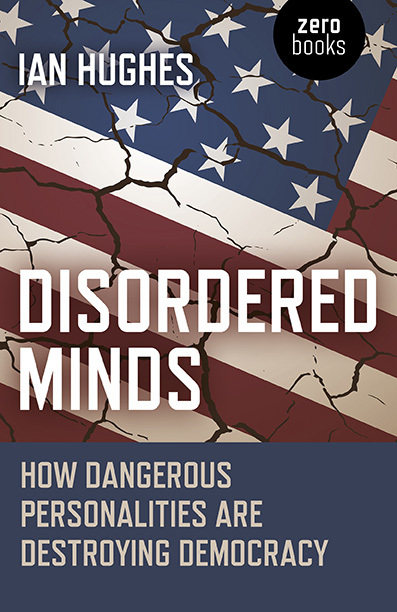 You can find out more about my forthcoming book Disordered Minds: How Dangerous Personalities are Destroying Democracy here. It may be time for a global Movement to expose the psychopathic elite who have constructed a world characterized by war, chaos and suffering, a world that serves only their interests. My website http://www.psychopathsatthetop.net/ may be helpful in this effort. The book will be published on 28 September and is available for pre-order now. Thanks for your interest – I do appreciate it. Fascinating and rings loudly with truth! It explains so many things . One issue – they don’t suffer from their personality disorder, the rest of us do. This is the nature of psychopathy and addressing their self interest is usually, as I understand it, the most effective way of managing their behaviours. People with a narcissistic profile can also be dangerous for similar reasons but with different underlying drivers. I am most interested in how this does not end up in concluding that eugenic cleansing of the psychopaths is necessary. I’ve just read this post a few weeks after America put Trump in power. The French are on the verge of electing Le Pen and Brexit just happened. Everyone wants to start building walls to keep the ‘foreigners’ out. It seems we, as a people, have learned nothing.